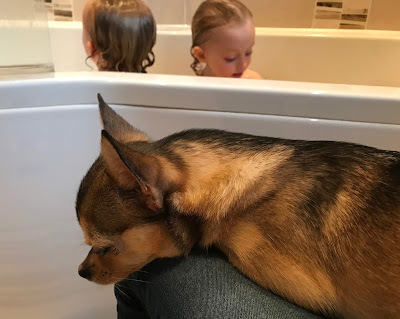 Tuco our little chihuahua is very much part of the family and loves being included in everything. I sometimes think he sees himself as another parent to the kids, looking out for them in his own special way. 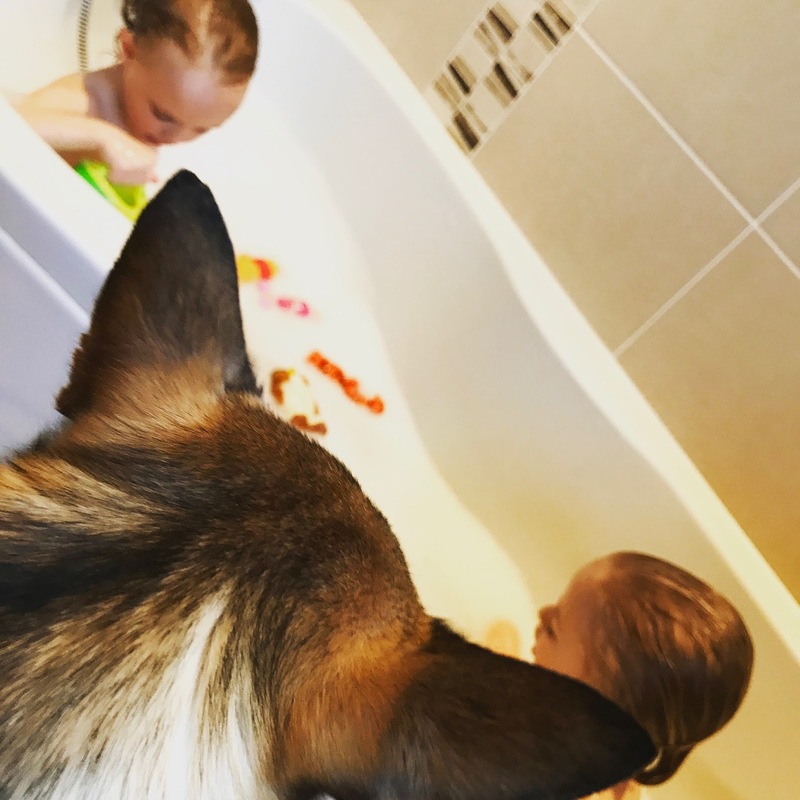 Last night he insisted on helping me to supervise the Twins bath time.